How did you start your creative journey? West by Design began in my front room, on a rainy Autumn night in 2017. I'd spent the week in an office environment, as I did most weeks, so I'd broken out over the weekend to go running in the woods and for a short explore on the North Yorkshire moors, both of which I live locally to, and where I feel most free and away from the humdrum of the daily commute. I felt really inspired that evening to continue my natural journey of the day, and wanted something challenging and creative to potter on with, so I dug about in my infrequently-visited art cupboard (much less impressive than it sounds) and pulled out my box of acrylics. From previous stints building dry-stone walls in North Yorkshire, I'd created a collection of beautiful ammonite fossils which are so readily found in abundance in the local area's stone, and their rhythmic, swirling shape drew me in - these were the first pieces I created. I began to imagine what they would look like in repeat pattern across the wall in my hallway, and the idea was born! You have an inherent love of nature, how important is the outdoors to your work? North Yorkshire is so beautiful and inspires so much in my life, including the first collection. I was born in the area I live now, and have always been surrounded by trees, the moors and beaches. I need to paint from a calm head-space, and nature provides that, as well as the visual inspiration. Give me a breath-taking view of nature over a cityscape any day! I feel really connected to the natural world, and nothing calms my soul and resets me more than a walk in the woods. If the sun is shining, and the surroundings are still and I don't see a single person - that's where I find my therapy! Tell us about your hobbies and how they inspire your style? Living right next to the woods and being a fan of exercise (especially the kind where you get muddy and red-cheeked and generally feel alive), I'm guilty of going off running (and getting told off for going on my own) so it's very easy to incorporate my love of exercise with thinking of new design ideas. I'm also a big fan of travel, and took myself on a solo trip to New Zealand a few years ago - just one girl and a battered Toyota hire car. I found the whole trip so life changing, in a way. 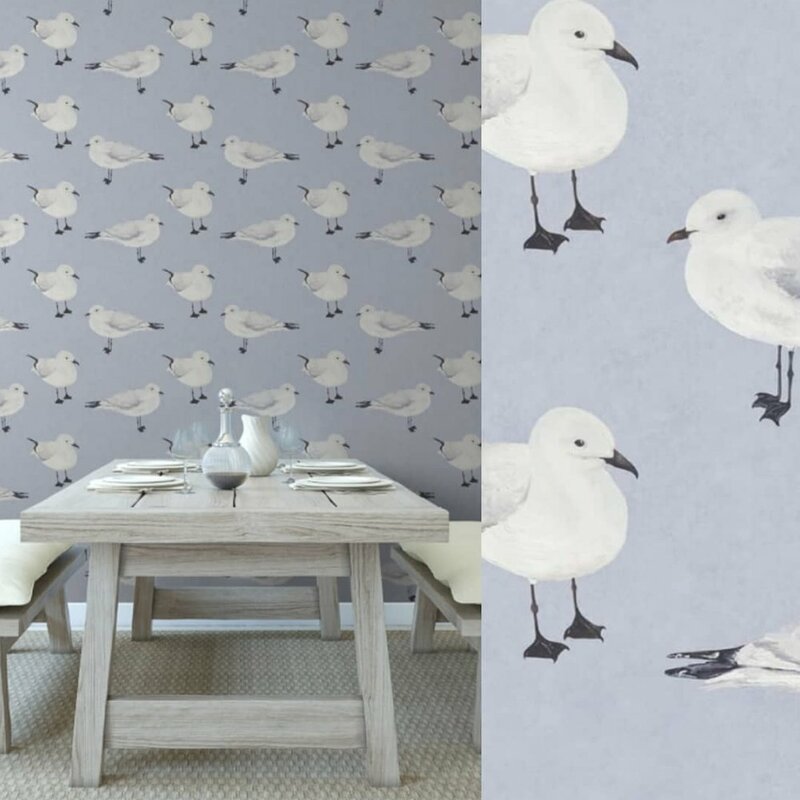 Stepping out of the daily bubble helped me make some really big decisions about my life and how I saw my future - it was also where a troupe of about 100 seagulls settled around me to help me eat my lunch, inspiring The Gare wallpaper. Art in general has always been a part of my life, so it was a natural evolution for all of these experiences to come together in a fairly organic way. It’s not easy to start a designer brand, what has been the biggest challenge so far? I won't lie, I've had countless of nights lying awake at night worrying about progression/finances/will-anybody-actually-like-my-work (hello sleep hypno app! ), but I think the biggest challenge has just been figuring it all out on my own! I've have no experience, no guidance, no "the next stage is this", I've just worked as methodically as I can to achieve a goal a week, no matter how small. When an opportunity or a challenge has come up, I've worked out the best route forward and its feasibility. Luckily I have a really supportive partner who's able to help me answer the questions I'm asking myself objectively. What’s your favourite design, what inspired its creation? 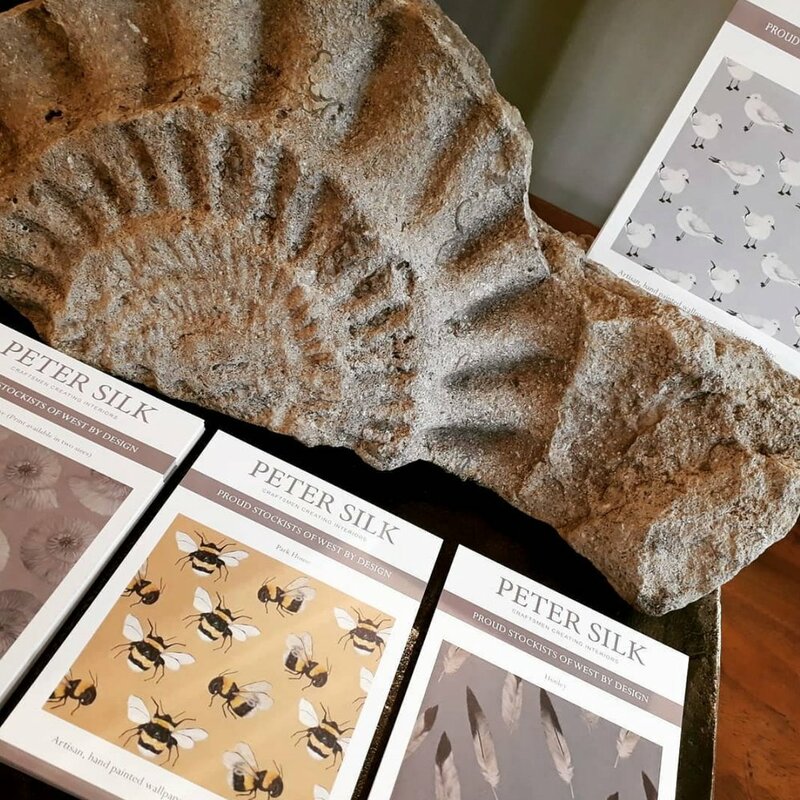 The most popular design with buyers has been Park House, the bee, and it does hold a lot of space in my heart, but I think my favourite is the small print of Stonegrave, the ammonite, named after the place I found the first fossils. It came about as an accident really - whilst developing the bigger design, I found myself looking at the pattern reduced in scale to check the repeat - and absolutely loved it. I also love Passport, the fox print. 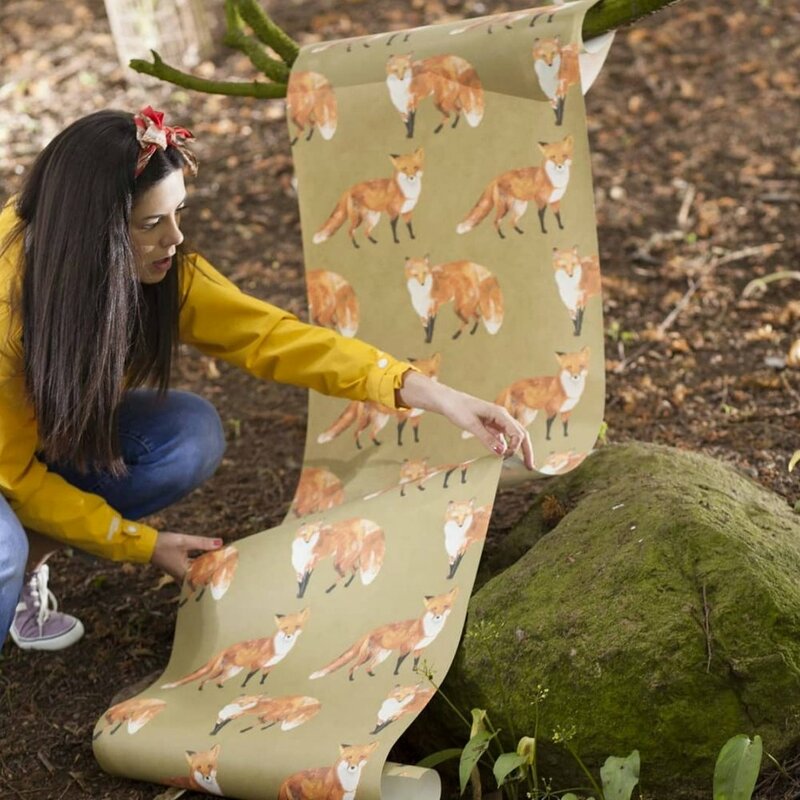 I've attached characters to both of the foxes featured, and love to see them featuring in other homes and spaces - it’s like they're out exploring! What’s next for West by Design? 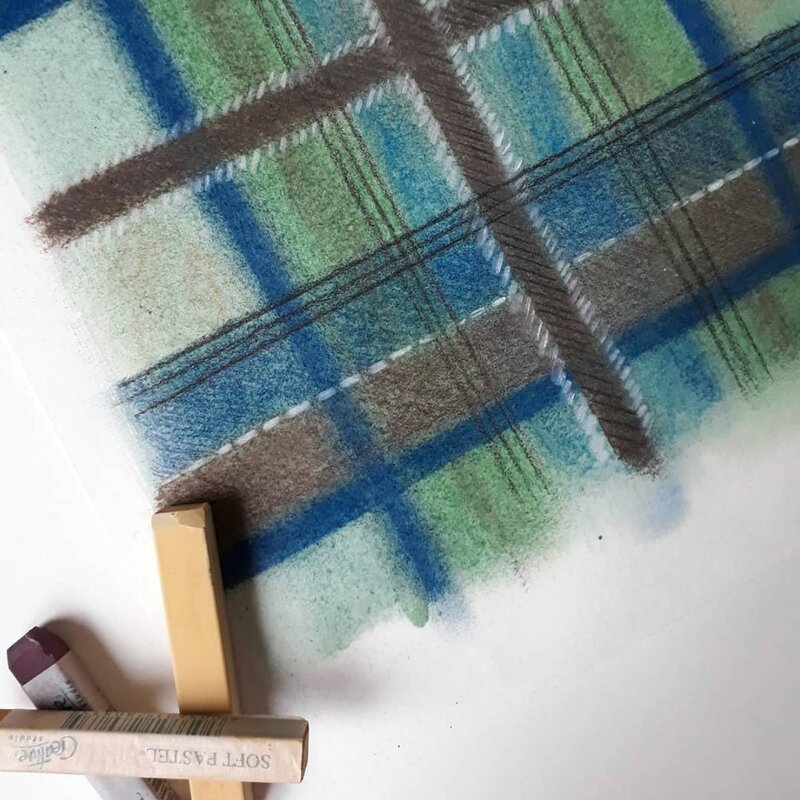 I'm currently working on a bespoke design for a client which will see around 30 individual mixed-media pieces come together for one wallpaper design, so I can't wait to see that come together. For the brand, there are a number of new designs I want to bring into the current collection, including some natural flora from the area, combined with gorgeous muted background textures. I'd love to get the collection into a few shows this year and gauge the feedback. I'm also looking to branch into fabrics and soft furnishings, which really excites me! I have such a vision for the future, and where I'd like to take the brand. I'd love to be developing new designs in papers and fabric from a studio with views of green, with a devoted whippet by my side (I think it's a Yorkshire thing!). It would be fantastic to see my work in both residential and commercial settings, and I'd really love a space where I can welcome clients and customers - perhaps a studio shop. I'd love to get my work into some fantastic shows, and would enjoy unveiling new designs and taking commissions. The West by Design collection is available at the website www.westbydesign.co.uk, where readers can read a little further about the development of the collection. There's an option to purchase both samples and rolls there. I'm also on Instagram (@westbydesignwallpaper), from which you can link directly to the shop. 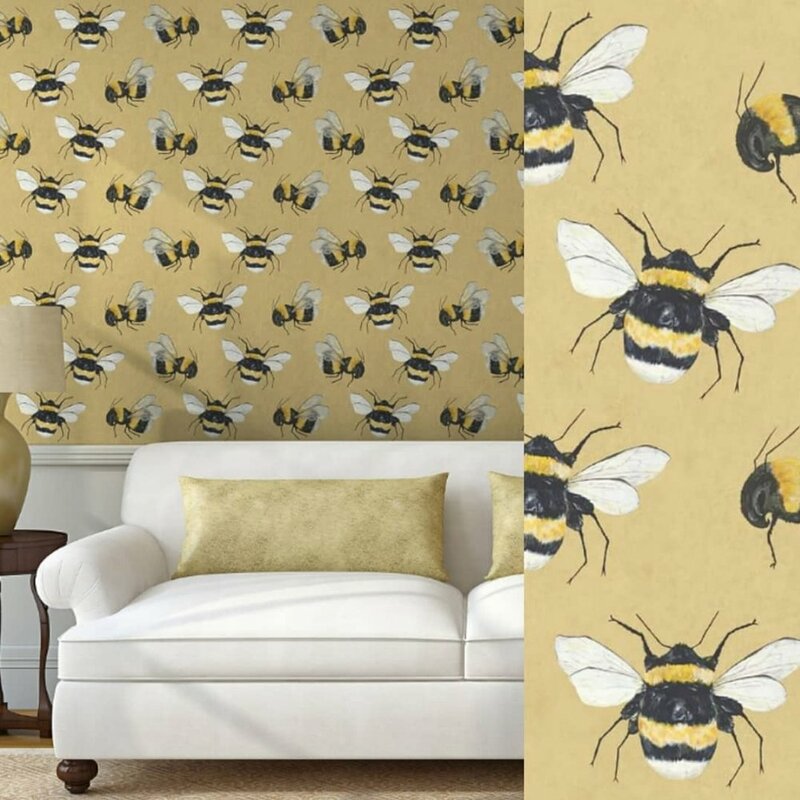 I take commissions, so if readers have a specific idea in mind, I'm able to create a bespoke wallpaper, just for them.